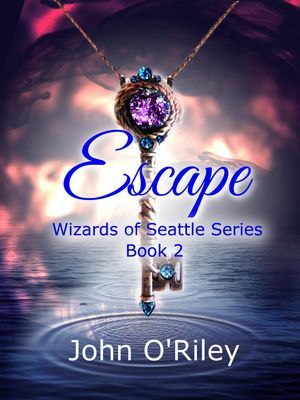 The Grumpy Old Wizards series and the Wizards of Seattle series run within the same time frame in the same alternate Earth with crossover characters. To view when each book occurred within this time frame, check out the Chronological Wizards Guide page. 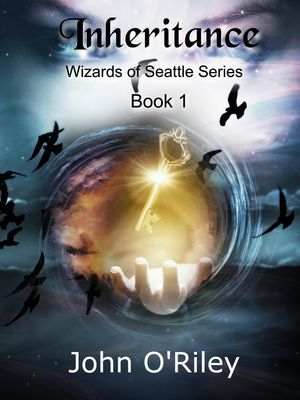 Jason is starting to become accustomed to his new role as psychometrist for the Seattle PD when he is assigned a disturbing new case involving dark magic. He soon discovers that this is more than just a simple case of murder. It involves the Ancients as well as the original White Knights of legend. The White Knight Council has serious problems of their own and limited resources so they can only spare two of their own to assist the Seattle PD in handling this new threat, an immortal dark wizard who’s gifted with incredibly powerful black magic that the modern world has never seen. 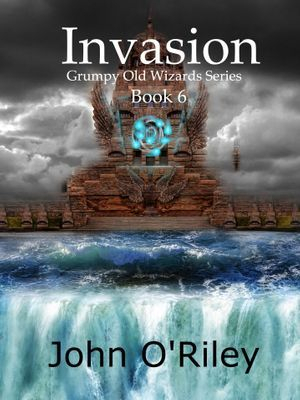 Jason and his colleagues must find and defeat the dark wizard before he becomes unstoppable. Click here for Amazon Kindle, Barnes & Noble Nook, and Ibooks. All three of them are potential White Knights with the rare ability to practice advanced white magic. They must learn to use their new power and defend themselves from a secret organization that is armed with potent, black magic. If you downloaded this book when it was free before I combined it with Caretaker, you can download a free copy of Caretaker Kindle here or the Nook copy here. When Josephine joined the Earth Coalition and became part of the legendary White Knights, she thought she could leave the dangers of the world behind and raise her child within the peaceful sanctuary of Briodanis, an Ancient city protected by the most powerful magic the world has ever known. She couldn’t have been more wrong. The White Knights have returned, but their power is greatly diminished, and their lives are in mortal peril. As Josephine scrambles to understand her new abilities, she learns that a hostile AI from a distant world has discovered a way to travel to Earth. With a technologically advanced ship, the ruler of a vast and powerful army of androids will soon reach Earth, and the White Knights are the only ones capable of stopping the impending invasion. 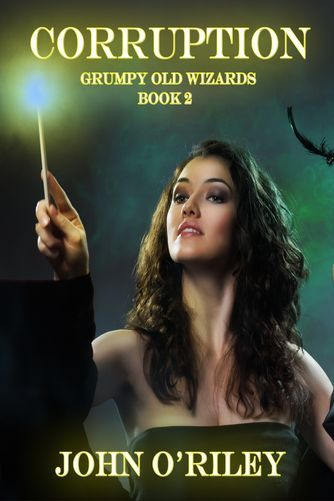 Josephine must act quickly to save her friends and her fiancé from an ancient enchantment that is killing white magic practitioners. But even as she deals with this threat, a hostile AI from a distant galaxy has sent three androids to Earth. The AI intends on creating a stable portal between its world and Earth so that it can send its android army en masse. Josephine’s least favorite military operative, Captain Arthur Gallagher, is in charge of the task force to stop the AI invasion. Here are the book links to Amazon, Smashwords, Barnes & Noble, and IBooks, and Kobo. Here are the links to the product page on Amazon, Barnes & Noble, and Kobo. 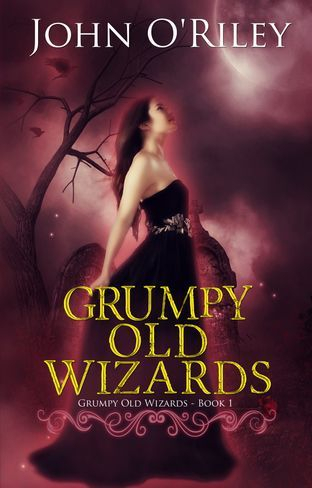 The entire Grumpy Old Wizards series is available in Kindle, Nook, Kobo, and Paperback formats. Click the following links to visit the Amazon Product Page, Nook Product Page or Kobo Product Page. 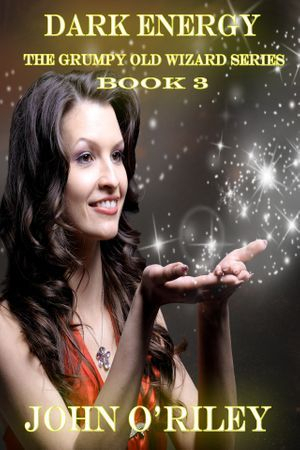 As a category six wizard in her eighties, Josephine O’Connor has always enjoyed a youthful body due to extremely slow aging but when she discovers she’s become immortal, she must return to the workforce. 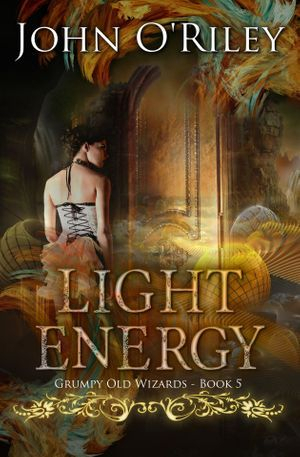 Soon after starting her investigative work for the police, Josephine discovers a secret organization called the Valituras that has amassed ancient magic and power with single-minded determination. Her new assignment of defeating this agency may prove to be an impossible feat as their members have infiltrated all levels of the government including law enforcement and their advanced wizardry rivals her own. Josephine realizes she may be in over her head when the Valituras end up casting an immortality curse on her best friend, Helen, by mistake. To further complicate matters, her grandson’s eighteen-year-old friend starts hitting on her. Fortunately, Helen isn’t too broken up by the curse. Who wouldn’t want to live forever in a young, perfect body? Of course, everyone knows that dark magic always comes at a cost. 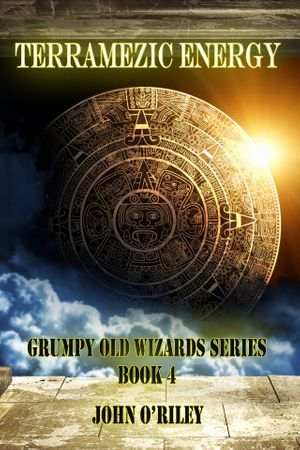 Corruption is the 2nd installment in the Grumpy Old Wizard Series. Click here for a sample book excerpt. Click the following links to visit the Amazon Product page, Nook Product page, or the Kobo Product page. Fifty years after the Disaster, the world is vastly different from days of old. Wizardry is the norm and magical talent is categorized. Josephine O'Connor, a seventy-year-old with a penchant for off-beat antics, is a category six, which means she possesses magical powers as rare as they are unsettling and a talent for psychometry that is so strong and acute that she can read the psychic impressions in a room without touching anything. Click the following links to visit the Amazon Kindle Product page, the Nook Product page or the Kobo Product Page. Brian Winters has reached a crossroads in his life as he approaches his eighteenth birthday. He is the youngest employee of the prestigious Phoenix Enterprises and one of the strongest psychics in the world. Even though he has a lot to be excited about, he’s been warned of a grave threat in a precognitive journal made by one of his ancestors. 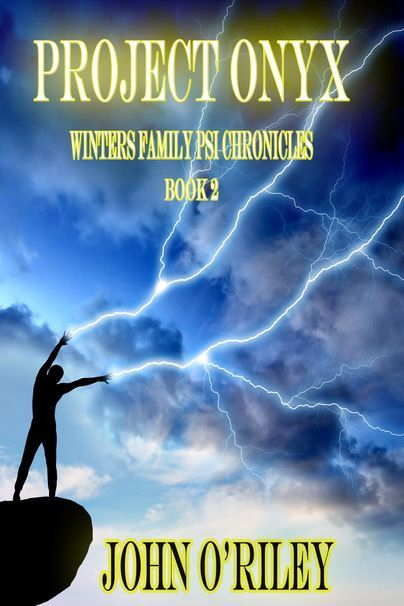 The Winters family precognitive journal has been handed down from generation to generation with specific information and advice to select descendents. Brian knows it is an honor to be one of the owners of this family heirloom but it also means that he has great challenges and threats to overcome. Brian has reached the time where he is destined to confront his powerful nemesis who has an army of powerful psychics at his command. 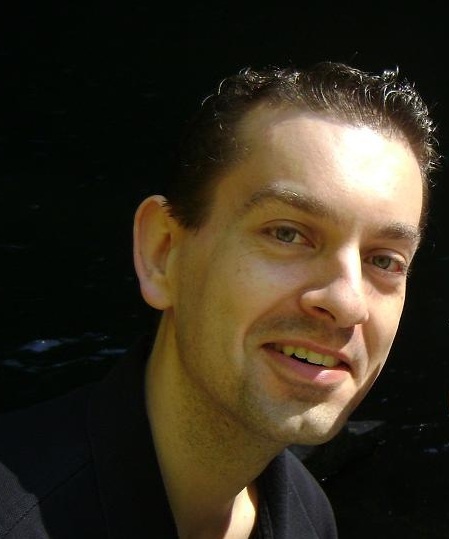 Brian must decipher the clues of the precognitive journal and hone his new psychic abilities if he has any chance of surviving this encounter. 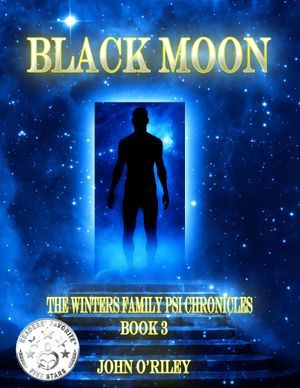 Black Moon is available in these formats and stores: Amazon, Nook, Kobo, IBooks and Smashwords. As a high level empath approaching senior year in high school, Brian struggles with his out of control talent that is causing constant psychic burnout and threatens his life. This becomes the very least of his problems when he’s chosen for an illegal experiment and kidnapped by a group of merciless scientists intent on developing a retrovirus that can create the ultimate weapon in psychic ability. Brian’s empathic talent warns him that his captors will kill him when they’ve concluded whether or not the injection has succeeded in giving him new psychic abilities. He knows he has only days to discover a way to escape before they end his life. Unfortunately, there’s another danger lying in wait. Someone close to Brian is an energy transference psi, commonly referred to as a psychic vampire, who has been stealing his energy for many years and is willing to murder him to keep the secret safe. Click here for a free book excerpt of Project Onyx. Click here to visit Smashwords Press product page. Project Onyx can be found in the following formats and ebook stores: Amazon, Nook, Kobo, IBooks, and Smashwords. Emily Winters was kidnapped as a teenager by Psi-Tech, a corrupt and power hungry corporation that learned of her precognitive ability. Imprisoned for years and forced to use her talent to help a company thrive, she now reaches a point where she must escape or die. A natural disaster will cause chaos, death, and destruction throughout the entire world while transforming most of the survivors into psychics. After this happens, Psi-Tech will kill all of their prisoners to hide the evidence of their horrific crimes. Knowing how the disaster will affect her captors gives Emily one slim chance to escape. Emily must seize this opportunity to save not only herself but her brother as well who will die without a medical treatment that doesn’t yet exist. 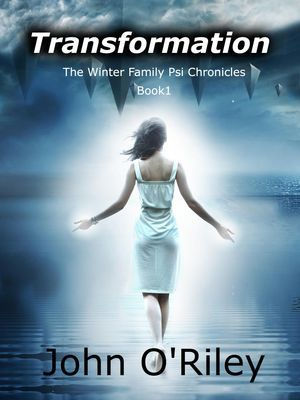 Click here for a free book excerpt of Transformation. Click here to visit the Smashwords Press product page. Click here to visit the Amazon Kindle product page.